Who doesn’t belong to Costco? Exactly – you and everyone you know belongs. 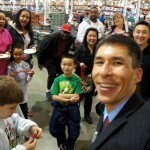 We all have favorite items that we buy at Costco, and stories about great experiences at their stores. I fill up my gas tank at Costco, buy my Bicycle decks of cards by the box, and love their giant $2 slices of combo pizza. 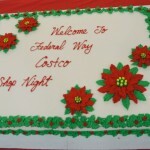 Each year the Federal Way Costco hosts a “Holiday Shop Night.” Immediately after closing to the public, vendors and local businesses come in to put up special displays and offers. Costco also offers discounts on particular items, and everyone who attends receives special perks like the chance to win door prizes, a cookie decorating station for kids, Santa (yes, he’s already making visits! ), magic, and more. 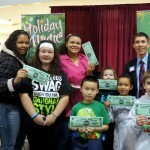 This is my third year participating in this event. My Costco story: about three years ago I was hired by a client, Jan, to perform for a very upscale dinner at a private mansion in the exclusive Hunts Point area of Bellevue. The chef was flown in from the midwest to cater the meal. I was also able to enjoy the multi-course dinner, and let me say I have never tasted meat as delicious as that. During the party there were a few Costco jokes thrown around, and I guessed that some of the attendees were Costco executives. It turns out that Jan’s husband, Jim, is one of the founders of Costco! (Oops, I should’ve known!) That show led to another performance at the Sinegal house, and that in turn resulted in several shows for Costco executives. However, you don’t need to live in a mansion or be the founder of a Pacific Northwest icon to enjoy the magic of Jeff Evans! To learn more about my magic shows for private parties, businesses, and organizations call me toll-free (877) 412-5064 or send e-mail to jeff[at]amazementproductions.com. 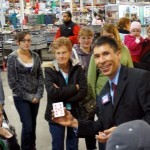 This entry was posted in Uncategorized and tagged Costco, Federal Way, federal way magician, shop night, vendor night. Bookmark the permalink.